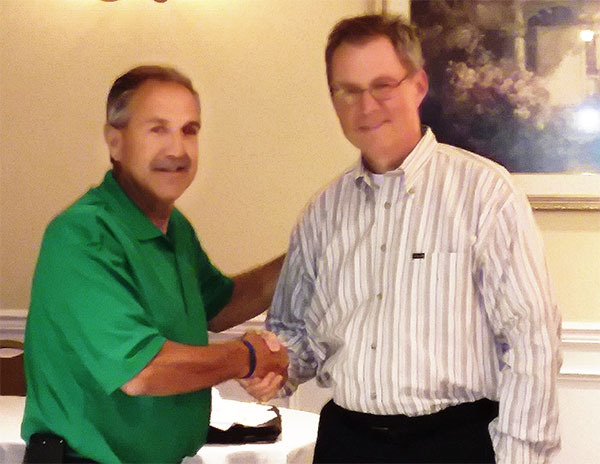 Congratulations to William Kowalewski (right) who now presides over Southington UNICO after bring handed the gavel last night by past President (and now Chairman of the Board!) Ron Ingriselli (left). The installation of officers included: Vice President Sharon Williams, Sergeant at Arms Tom DelSanto Jr., Treasurer Vincent DeSanti and Secretary Dan Vendetti. Sergeant af Arms, Thomas DelSanto Jr.
Dr. Albert A. Natelli Jr.